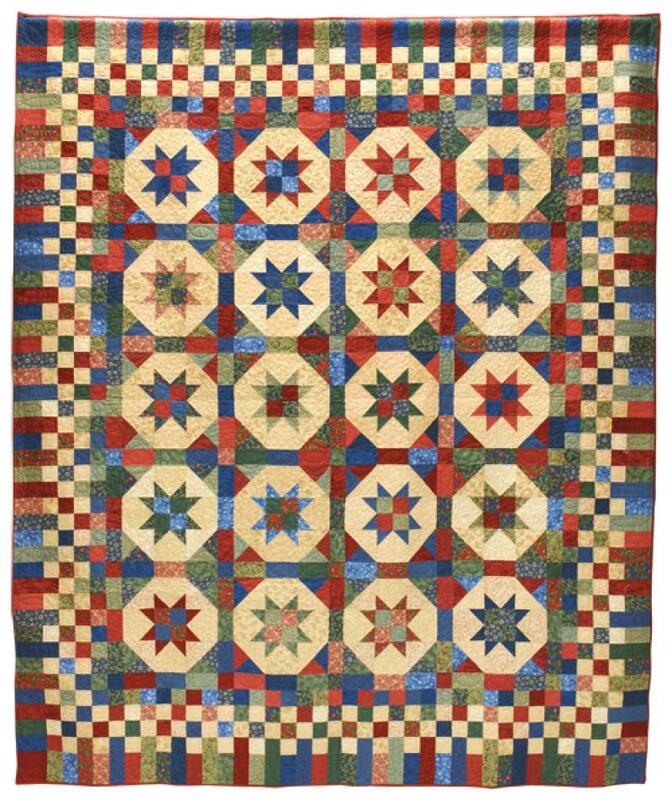 Participants in our Fall 2002 Mystery Weekend absolutely loved making this fun star quilt. It goes together really quickly! You will select 20 assorted Dark prints for this quilt, selecting prints from 3-4 color families. They'll be used all mixed up together, so stay fairly close in value. You'll also need 10 assorted background prints. Make the quilt as shown, or use your scraps to add an extra pieced border making the quilt a great size for a queen bed.